The AFA Podcast is back, with our 68th episode! 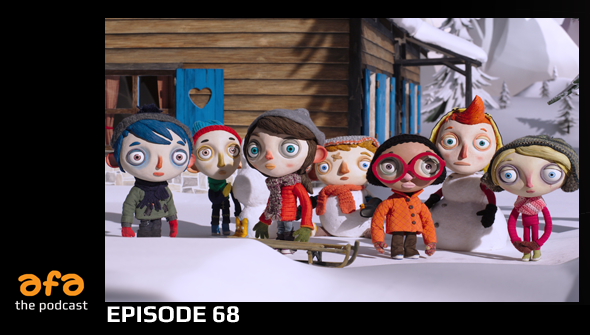 This time Chris, Rachael, Dan and Yvonne talk about the Oscar-nominated My Life As A Zucchini/Courgette, ahead of its US Cinema release on February 24th! First up, we catch up with some news,(0;03) including Kubo's BAFTA victory. and Taika Waititi signing on to direct Bubbles. Then we take a look at some recent trailer releases,(0:15) before getting into our main topic ( 0:32, spoilers from 0:56). Then we finish up with our regular Watercooler segment (1:27) including Kung Fu Panda 3, Resident Evil 7 and Tales Of Zesteria.